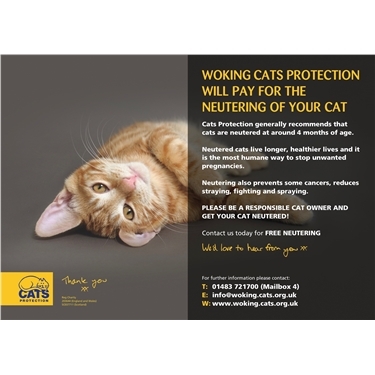 Everyday is World Spay Day at Woking Cats Protection! 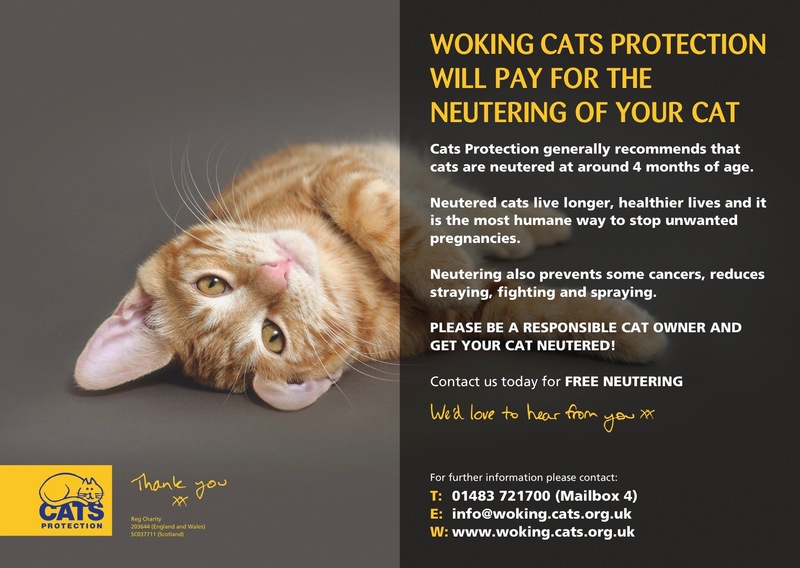 Contact us today and we will pay for the neutering of your cat - it's easy, just call 01483 721700 and leave a message in mailbox 4. Our volunteers will call you back and you will be sent a voucher to use at a local vet in our area.